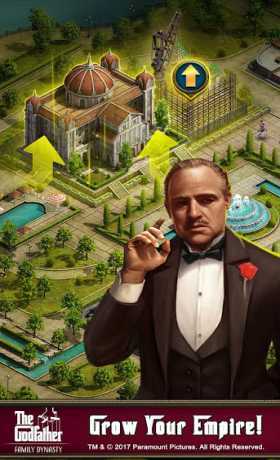 Build A Palace Fit For A Don- Learn to run your lavish estate under direct guidance from The Godfather himself, Vito Corleone. Mobilize Your Crew- Gain protection by enlisting Capos and Soldiers to “handle” any misunderstandings and spy on untrustworthy rival families. Establish Powerful Friendships- By helping your allies, favors will be returned to you. After all, the richest man is the one with the most powerful friends. Leave The Gun. Take The Cannoli.- Successfully complete tasks, and you will be generously rewarded. 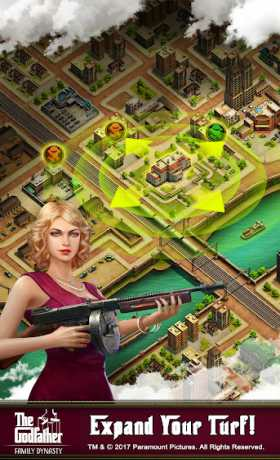 Upgrade buildings and equipment, while improving your skills and weapons. Make profitable investments, and then cook the books. Go To The Mattresses- Defend your territories and declare war against rival Families in order to seize properties and accrue vast wealth. 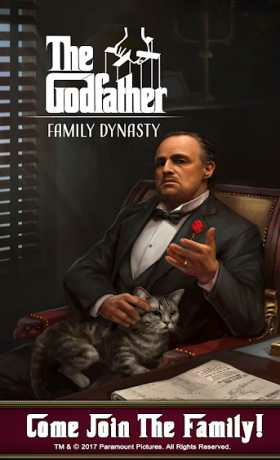 Become A Legend- Secure your place as a “made man” amongst the Corleone Family.